KC Landscape was established in 1974 and has been providing irrigation and landscaping services to commercial and multi-family customers throughout the Dallas-Fort Worth and Mid-cities area. The company maintains a full-time staff of uniformed personnel and is fully insured for liability and workman’s compensation. We are committed to providing exceptional customer service and quality work on every job. KC Landscape provides a wide range of landscaping and irrigation services to install, repair, and maintain the appearance of a property. We have licensed technicians with an accumulated 50 years of experience. We look forward to working with you on your next project. What separates KC from other landscapers is our extensive knowledge of the industry. KC’s long history in the commercial landscaping industry and our qualified landscapers is why our customers rely on us time and time again for reliable and expert services. We’ll go above and beyond to ensure that your property is well maintained and environmentally sound. Our trucks and large equipment are fueled by propane gas, which is our way of maintaining clean air and not leaving a footprint on Mother Earth. We are firm believers in recycling of our debris to preserve our land fills. 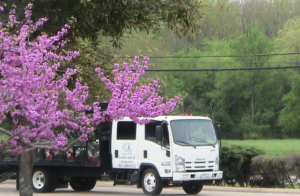 For more information about KC Landscape and our services, please contact us through our web form or call 817-640-0122.